It’s hashtag Pride season once again, just in case you hadn’t noticed all the rainbow flags and glitter on your IG feed. To celebrate, adidas, together with DJ Fat Tony, has put together an almost unprecedented group of models, artists, musicians, and general icons – Naomi Campbell, Blondey McCoy, and Philip Treacy among them – to feature in its new ‘Prouder’ project. 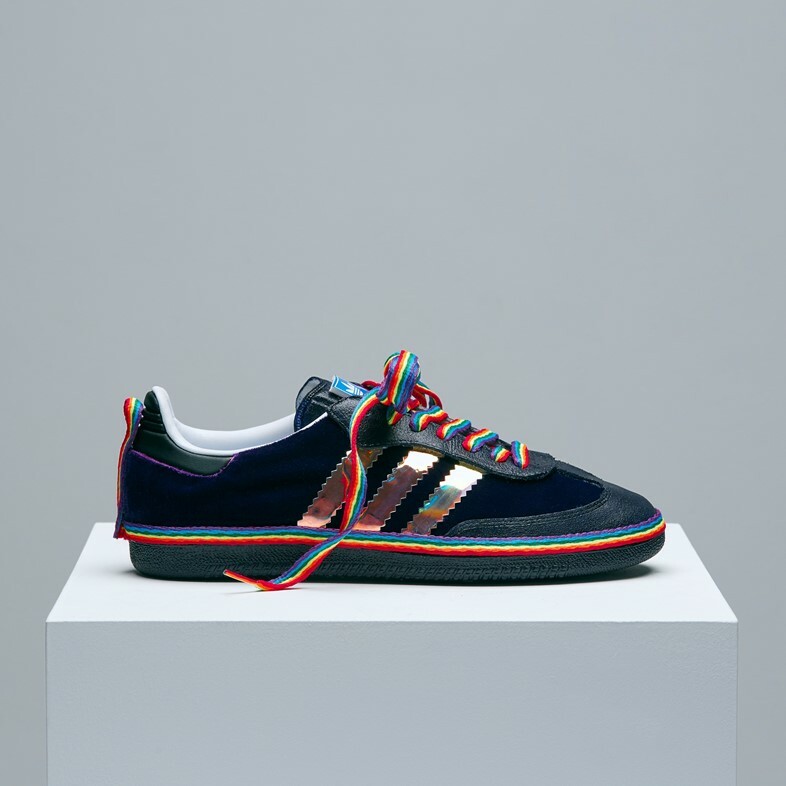 Including both allies and LGBTQ+ faces, each participant was invited to reimagine the iconic adidas Samba to embody what ‘Prouder’ means to them – through the lens of unity, equality, and originality. 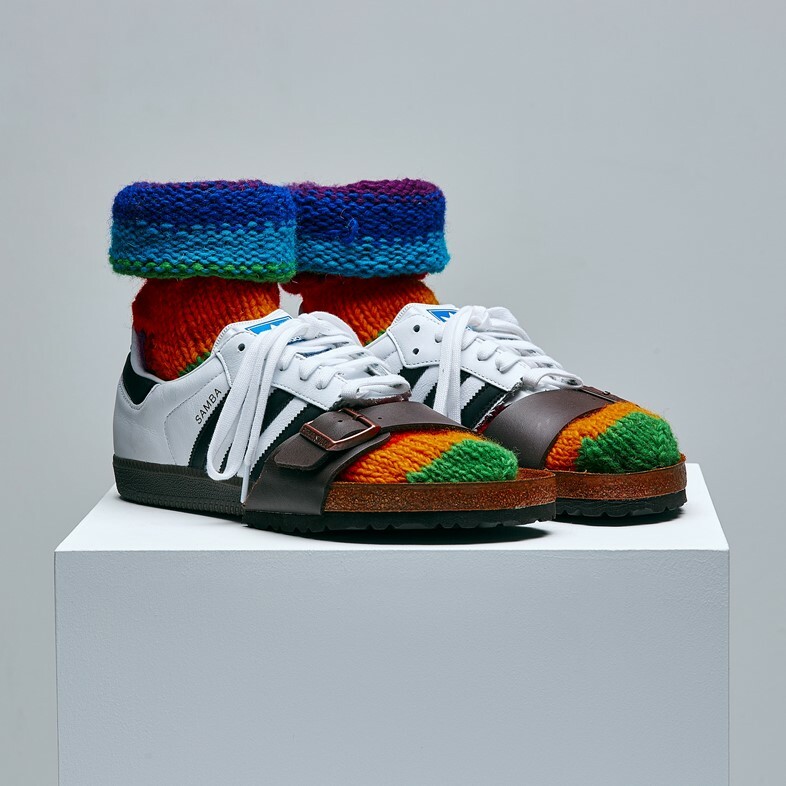 There’s something for everyone in the final selection that includes McCoy’s Icarus-inspired feather-covered shoes, the Chapman Brothers’ half Samba, half socks-and-slides creations, and the translucent plastic version created by Kate Moss. For those feeling very, very proud, check out the offering from Marc Jacobs. Each creator was chosen by DJ Fat Tony, the London DJ who’s been a fixture of the city’s queer scene since his hellraising days in the 80s. 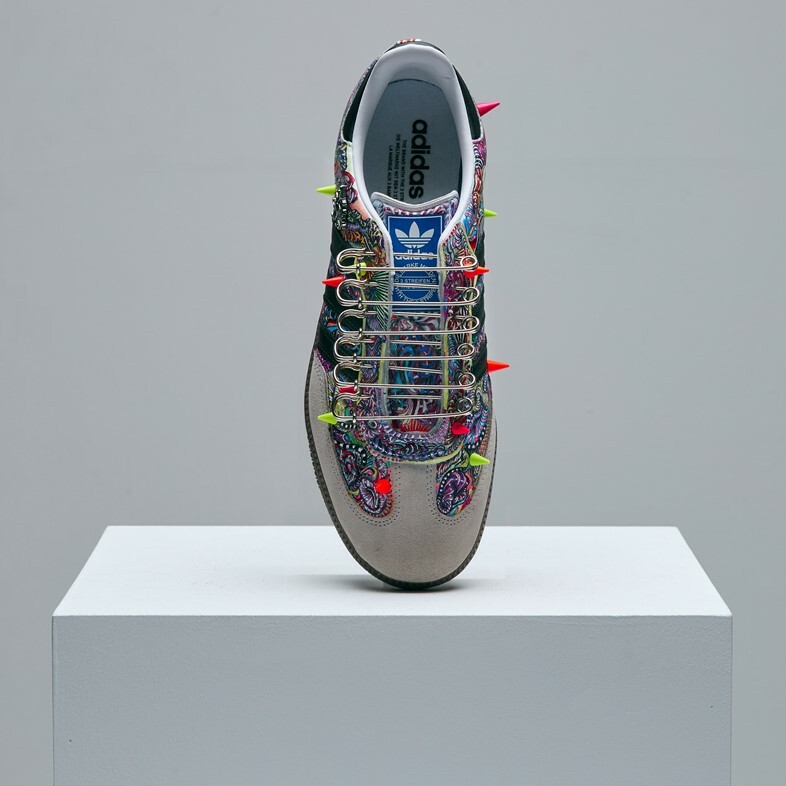 “I wanted to create something with adidas that really spoke to where we are today by envisaging a new notion of Pride as being one with no labels; and how we as a community alongside our allies can push things further still,” he explained. 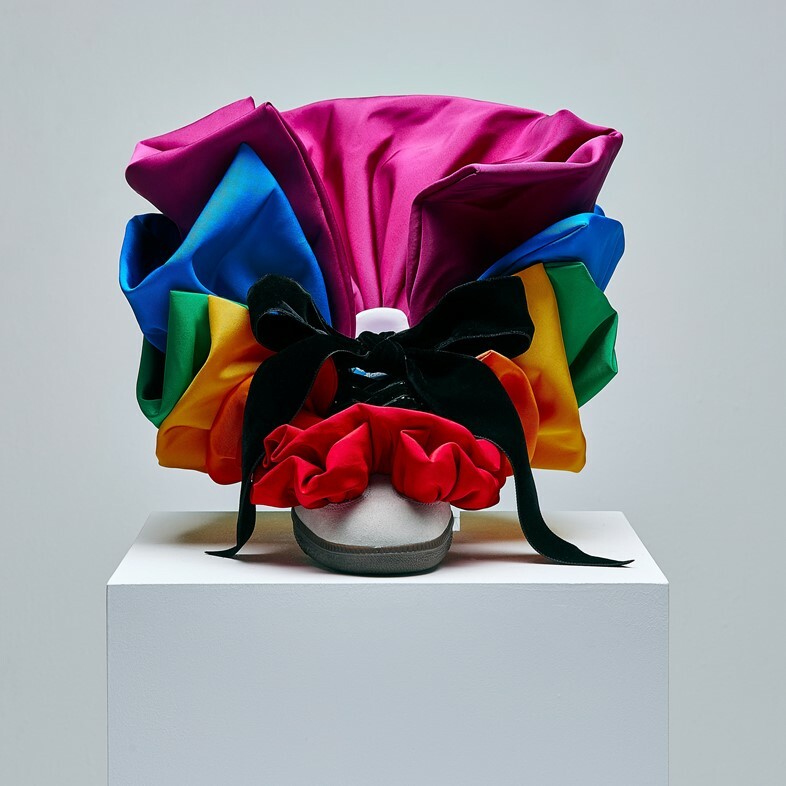 The shoes will be posted eBay – starting from July 3, with the auctions running for 10 days – with the proceeds going to the Albert Kennedy Trust, a charity fighting homelessness in the LGBTQ+ community. In particular, it works to raise awareness around the disproportionate rates in which young queer people face choosing between living their truest lives and having a safe home. We caught up with some of the creators, so scroll to see what they had to say about what makes them feel #Prouder, and what they feel the world needs.